A wide range of businesses, civic and community organizations are teaming up with The Musicant Group to create a more inviting and vibrant space for transit riders, employees, residents, and visitors in the block surrounding the Green Line’s Central Station. The busiest transit area in downtown Saint Paul, Central Station is located at the corner of 5th Street East and Minnesota Street. Over the next several months, The Musicant Group will host Pop-ups at Central Station – a series of programs and events on the Central Station block through September 2017 as the site is readied for future development. 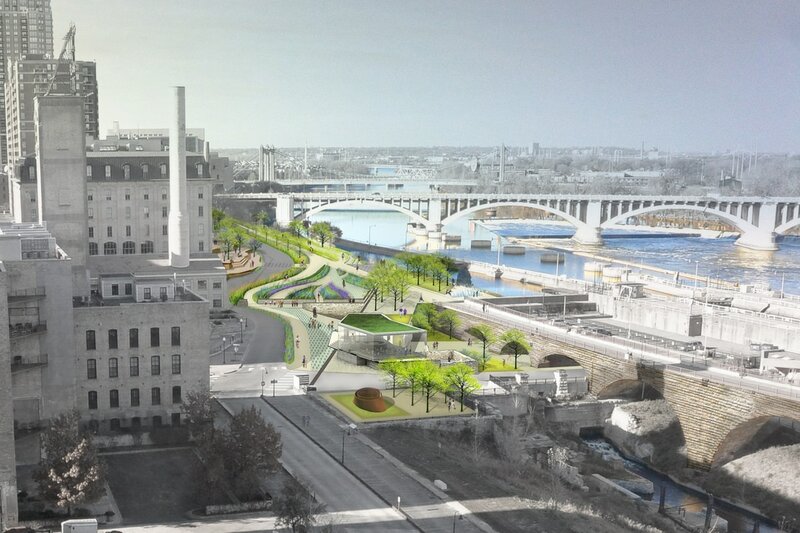 Creating a safe, inviting space in the core of downtown Saint Paul’s business district will strengthen the city and help people experience downtown in new and exciting ways. The project is funded by the John S. and James L. Knight Foundation, in cooperation with the City of Saint Paul, Metro Transit, and many businesses, civic and community organizations. Located in the heart of Downtown Minneapolis on Nicollet Mall and 12th Street, Piazza on the Mall is the Twin Cities’s first of its kind urban space: combining leisure, food, games, entertainment, and mobile markets 365 days a year. 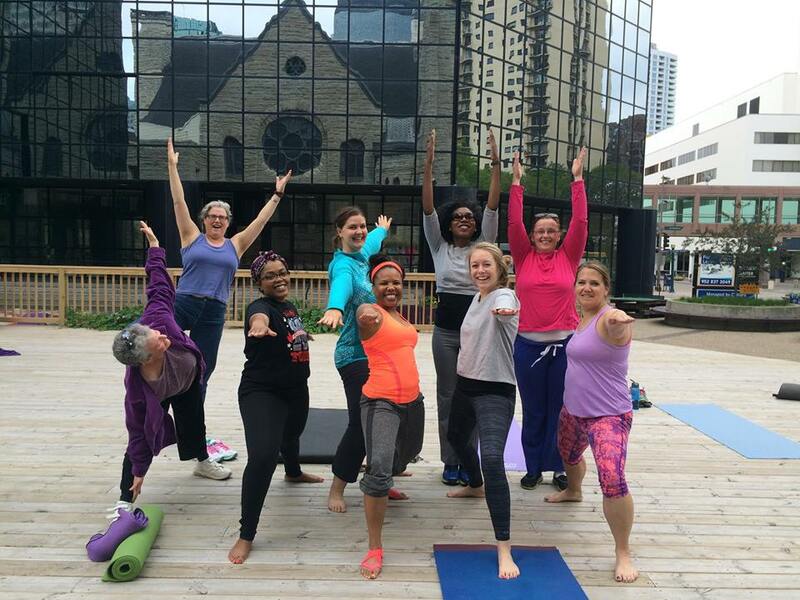 ​Our clients were the 1221 Nicollet Mall building and Westminster Presbyterian Church. The once dormant office plaza has been transformed since our engagement into the most active public space in Downtown Minneapolis. One user had this to say: "Loved it! We live downtown. It made us feel safer. It was so comforting to have concerts and see people enjoying the space. Very welcoming and fun." Another user said: "I told so many of my workmates about it and they loved it too. They in turn told their friends and on a couple of occasions we ran into some of those other folks. Very inspiring that my turning them on to the space resulted in many more enjoying it.... THANK YOU!" Located on the emerging east side of the Minneapolis campus, the lawn in front of the MAC was pristine, but underused. Through a coordinated programming initiative that included a weekly farmers market, fitness classes, live concerts, and student-driven activities like fencing classes and a marine-touch-tank, the space was reborn as The School Yard. 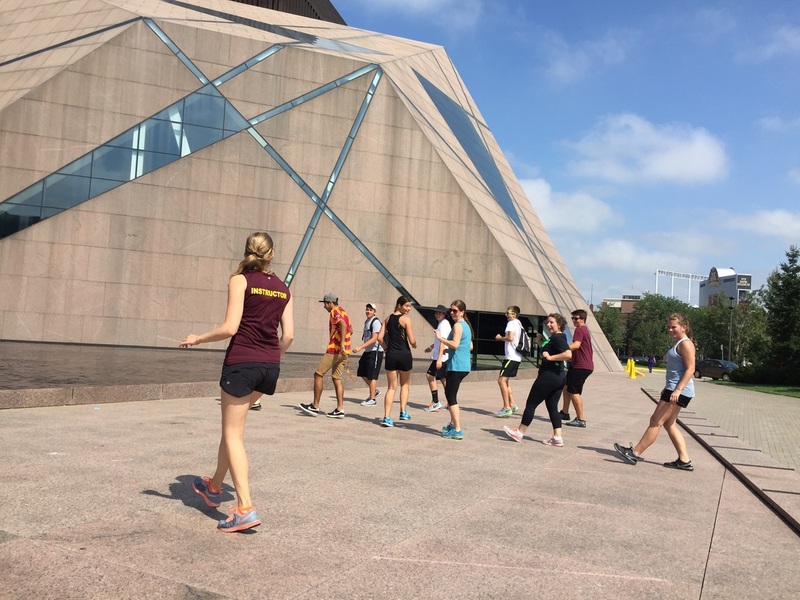 Over the course of the summer of 2015, the space had a 300% in use and dramatically increased visitor’s satisfaction as employees, students, and visitors to the University of Minnesota and the surrounding neighborhood. 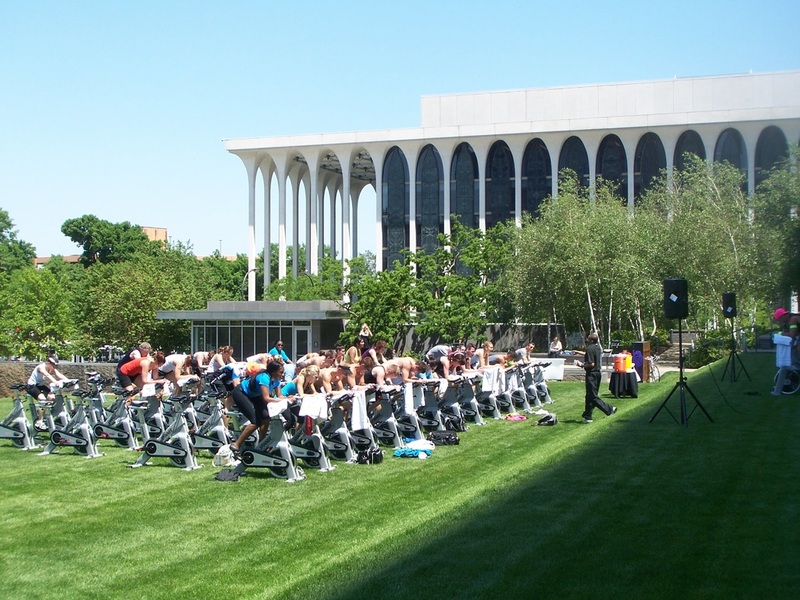 The Musicant Group was retained to transform the largest park in Downtown Minneapolis into the premier outdoor activity center for office workers and residents alike. By taking a multi-pronged approach to activating the space we increased usage by 300% and built community. Lake and Hiawatha Plaza Public Realm plan is a compilation of extensive research, outreach, and focus groups to produce holistic recommendations to ensure Lake and Hiawatha Plaza is one of the best public places in the region and beyond. The Musicant Group was retained to transform a long vacant lot at the busy intersection of Plymouth Avenue and Penn Avenue North into a place where people wanted to be. Guided by community voices, new seating, a ping pong table and a tree swing were introduced. 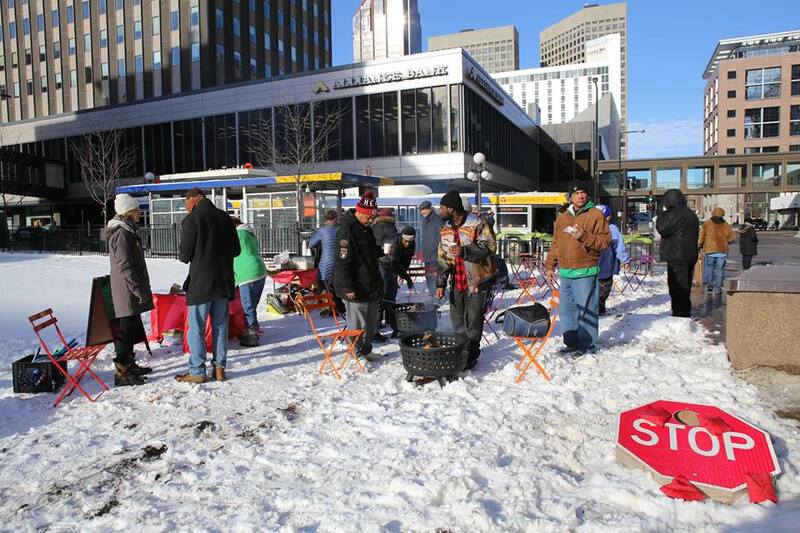 These new amenities greatly enhanced the experience for those waiting at the adjacent bus stop, created a community gathering hub, and laid the foundation to lure a food truck to service the area which, prior to our involvement, had nowhere for office workers to buy lunch. 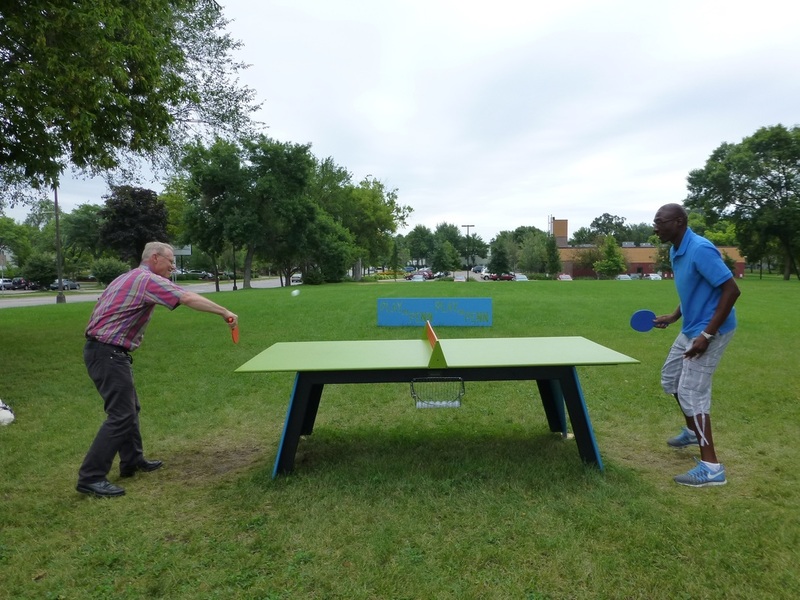 The Musicant Group was retained to create a public-private partnership between their “The Foundation”, the Minneapolis Parks and Rec., Elliot Park Neighborhood Inc. and the local community to improve a “satellite” park for the benefit of all. Our client owned an affordable housing complex that shared the block with Franklin Steele Park and recognized the opportunity to create value for their tenants and the community at large. Through months of community organizing, events, and outreach we caused a statistically significant increase in how inviting and safe the park felt to users! The Musicant Group was retained by the LGA to create a multi-year programming and implementation plan for the Loring Greenway. Since crafting the plan, The Musicant Group conducted the first comprehensive user survey of the Greenway – tracking users on a number of demographic categories and gathering qualitative data on the user experience. Click here for a copy of the user survey. The Musicant Group is the programming and events consultant to the design team and the MPRB. Responsibilities include: creating list of desired experiences, uses, and activities; engaging with user groups to discern their needs and desires; creating a programming and events plan that responds to the design and user input.